It’s a human nature to capture beautiful moments. With the crazy growth of smartphone — and mobile technology generally — like today, every person can now capture their beautiful moments in a single tap on the screen. While you can instantly share your captured photos on your smartphone to your social media accounts, some people want something more. Instead of just digital file, they want to turn the photos they have to a physical form. Is it possible to print your photos directly from smartphone without having to transfer it first to PC?. The quick answer is, yes you can. Thanks to the portable photo printer technology you can instantly print your image files. So, you don’t have to wait until tomorrow, the day after tomorrow or even days to come to give your party guests a memorable gift they will never forget. Here is the list of best portable photo printers that you can choose in case you need one. HP is one of printer brands which has a number collections of mobile photo printers and you can see several of them on this list. HP Envy 4520 is one of the HP popular products in terms of portable photo printer. You can use this printer to print any photos from your smartphone easily with the help from HP ePrint app. You don’t have to plug any connector to your smartphone since this printer comes with a Wi-Fi connectivity to enable you connect your smartphone with your mobile photo printer. One of the good things about HP Envy 4520 is that you can use both sides of your paper to print your photos. Yes, chances are you will rarely use this feature since printing a photo on the two sides of paper is not too good idea unless you want to create a magazine. But, who knows you will need this feature someday?. HP Instant Ink allows you to save up to 50% on ink. OfficeJet 4650 is another popular mobile photo printer from HP. The overall features of this model of printer are not too different to the model above. OfficeJet 4650 is a versatile printer. You can use this printer to cover your work needs since it has capabilities to copy your printed documents, sending fax, scanning and lots more. And, if you need a printer for instantly printing your party moments you can also rely on this versatile printer. 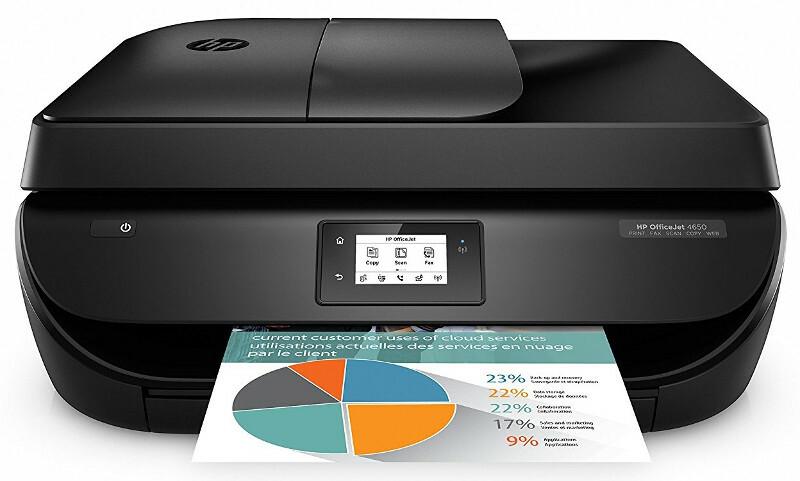 Same as Envy 4520, OfficeJet 4650 also features a Wi-Fi to enable you connecting your smartphone with the printer to start printing. No matter your smartphone brand, you can install the free app of HP ePrint on it in order before being able to print your photos. OfficeJet 4650 is available in two different colors black and white. If want a smaller printer with a really compact design, you can consider Selphy CP1200 from Canon. As one of the most famous printer producer companies, obviously Canon doesn’t want to leave behind from its competitors. 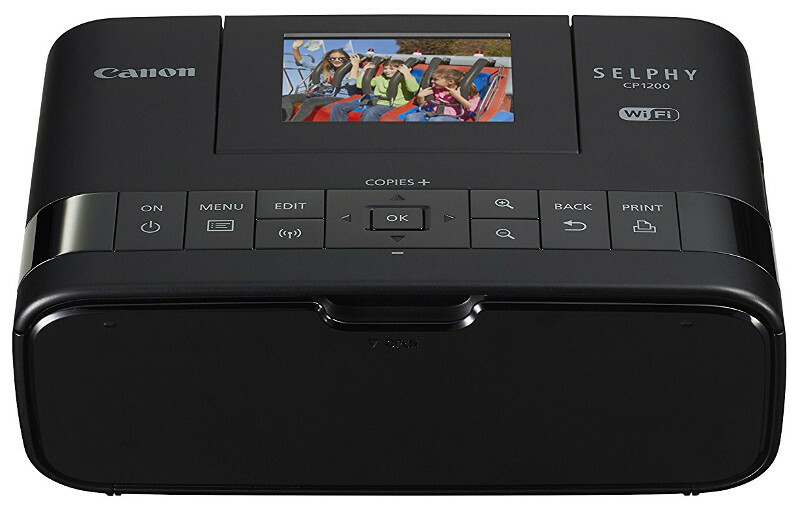 Selphy CP1200 is just an examples of Canon’s portable printers. With a smaller design than two HP printers above, Selphy CP1200 is easier to carry so it’s more ideal if — for some reason — you need to carry a printer while on the go. Whether you own an iPhone, iPad or Android-based devices, you can instantly use this printer to instantly print any photo you have on them. I am not sure if the word of Selphy is inspired by “selfie”, but if you are the one who love taking selfies with your smartphone and put them on Instagram then Selphy CP1200 is the perfect tool to print the best ones of them. Selphy CP1200 gives you options to print your photos into several sizes from postcard size paper, label size, square, and even 8 small little stickers at a time. Additionally, you can also dress up your photos with fun borders and effects before printing them. Canon Selphy CP1200 physically has a smaller design than two first portable photo printers mentioned earlier but, if you need something smaller then HP Sprocket is the perfect option. Its size is not bigger than your iPhone 6. This printer model from HP was designed to enable you printing the photos you have upload to your social media accounts. The photos will be printed in the size of 2×3, perfect for decorating your bedroom walls. Since its size is very small, you can insert it into your pocket, makes it great if you want to be a center of attention in a party. Similar to Canon’s Selphy CP1200, you can also dress up your photos first using the HP Sprocket App before printing them. 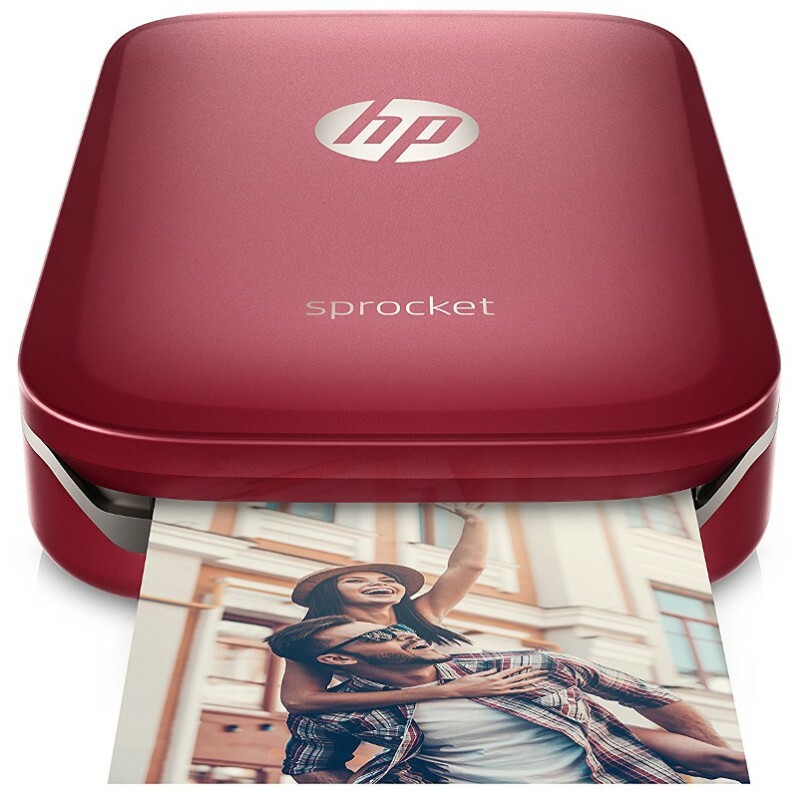 You need to install the HP Sprocket App first before being able to print any photo. This printer uses Bluetooth as the connection medium. To get the best result HP suggests you to use the original HP ZINK Sticky-backed Photo Paper. Unlike four printers above which use wireless technologies as the connection medium. Epson PictureMate Charm requires you to physically connect your camera using USB connector before being able to print the photos. Alternatively, you can remove the memory card from your camera and insert it to the printer. But, you can get the portability aspect of this printer due to its small and easy to carry design. Additionally, the printer comes with an optional battery to enable you printing the photos wherever you go — at the park, on vacation or at a photo shoot. 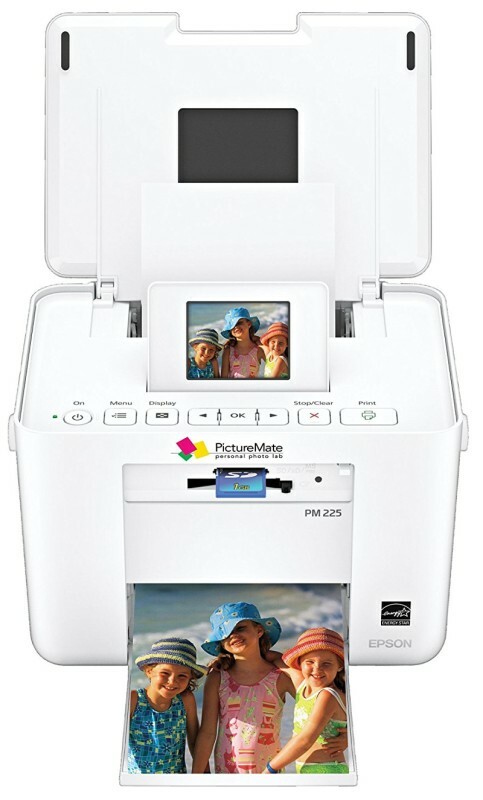 One the good features of Epson PictureMate Charm you will love to is a 2.5″ color photo screen. You can take advantage of this small but useful screen to preview photos, remove red eye and enhance colors. 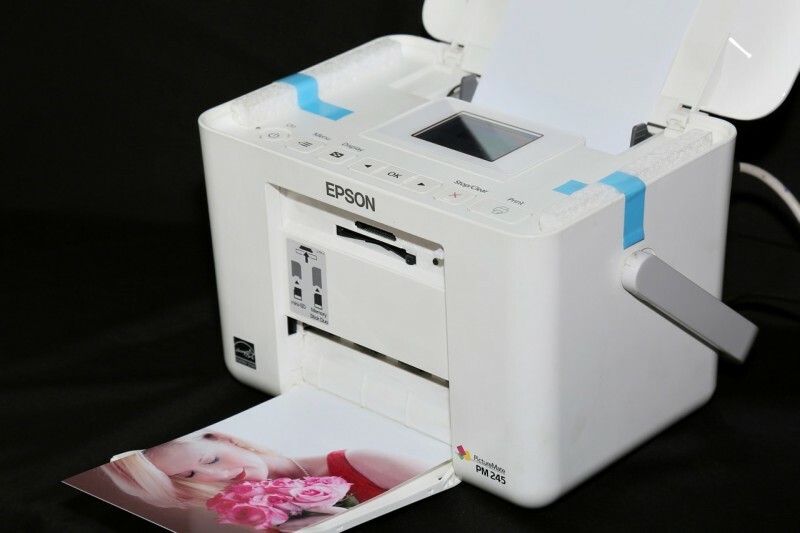 You can use this printer to print the 4×6 sized photos. Not a fan of three brands above? If so, you can try dropping your choice to PANPRINT01 Zero Ink Portable Color Photo Printer Pandigital. With the ability to print 300×400 dpi photos this printer is more than decent to print your beautiful moments. Similar to PictureMate Charm from Epson, PANPRINT01 also relies on USB cable to enable you connect it with your camera. But, its ability to print the photos within only 60 seconds is something you will love to. There is also a memory card slot which supports any kind of memory card from SD, XD, MS, MS Pro to MMC.